Help preserve the lives of sentient beings! Support our annual Lobster Release by making a tax-deductible donation through the Supporting Gampo Abbey page (select “Lobster Release Fund” under the Gift Designation menu), or call our finance office at 902-224-1358 (Mon-Fri, 1:30-5:00 pm Atlantic Time). We will provide you with a receipt upon request. Each year at the end of the lobster season, the monastic and lay community of Gampo Abbey, with the financial support of many donors around the world, purchase the last catch of lobsters from one of the Pleasant Bay lobster fisherman and release the caught lobsters back into the water. 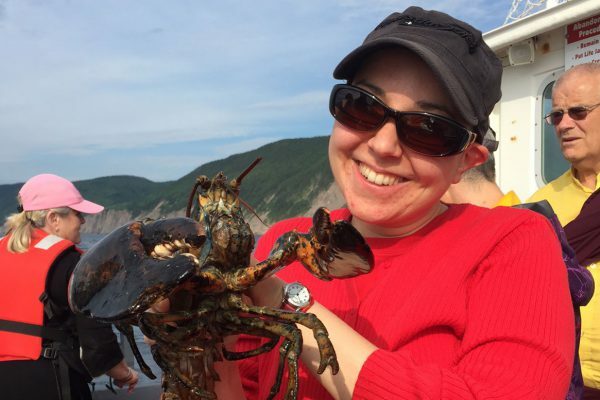 This year, on July 4, monastics released 150 pounds of lobsters (about 100 lobsters) back into the Gulf of St. Lawrence. “Life Release” — in which captive animals destined to be eaten are instead released back into their native habitats — is a traditional practice for Tibetan Buddhists, especially monastics. 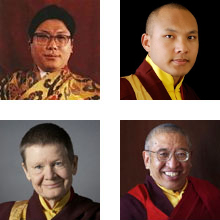 The most obvious benefits of the practice are for the sentient beings whose lives are being saved, but it also serves to strengthen the individual practitioner and the sangha as a whole, and to establish an important link with the local environment and culture.